1. Madonna was all up on D’Angelo his first time around. 2. The infamous naked video for “Untitled (How Does It Feel)” is not what you think it’s about, you pervert. 3. 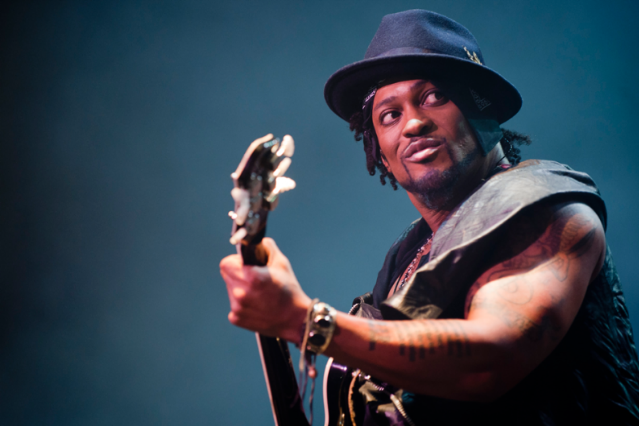 Speaking of “Untitled,” don’t yell at D’Angelo to “take it off” at his upcoming shows; he might just never come back. 4. A non-D’Angelo-related revelation: ?uestlove was this close to being one of the last people his “Skype buddy” Amy Winehouse ever spoke to before she died. 5. If you caught a glimpse, but convinced yourself you’d seen a spectre, your eyes weren’t deceiving you: D’Angelo was, in fact, at one of Björk’s Roseland Ballroom shows with ?uestlove.